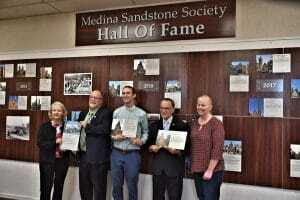 The Medina Sandstone Society Hall of Fame inducted 3 structures made of Medina Sandstone into its Hall of Fame at a ceremony in Medina City Hall on October 18, 2018. These magnificent structures are located across 3 western NY counties. Lafayette Avenue Presbyterian Church/ Lafayette Lofts is located at the corner of Elmwood and Lafayette Avenues in Buffalo; St. John’s Episcopal Church is located in Clifton Springs, NY; and the James Prendergast Free Library is located in Jamestown, NY. 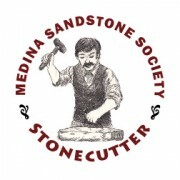 Attached to this e-mail is a trifold brochure which describes the Medina Sandstone Society and its Hall of Fame as well as information about the 3 buildings inducted. Also attached is a picture of the Hall of Fame Class of 2018. The awards are permanently enshrined in the Hall of Fame itself, located in Medina City Hall. 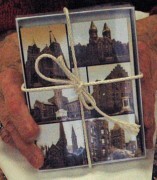 Each of the buildings also received a duplicate plaque to be displayed in each structure. 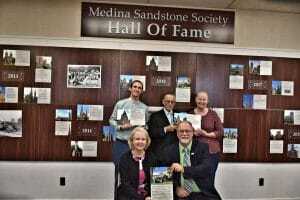 The Medina Sandstone Society is pleased and proud to induct these 3 examples of the beauty and utility of Medina sandstone in the history and preservation of our architectural heritage. 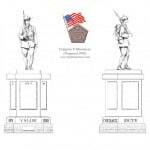 Learn about the efforts to create a statue to top the Company F monument. 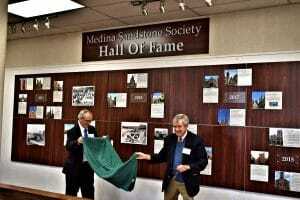 The Medina Sandstone Society, Inc., organized under the not-for-profit laws of New York State, calls focus on the village’s notable industrial past and especially the affection of the world’s builders for our native sandstone. We use that image to build local pride, to support hometown initiatives, to embrace historic preservation and to help the Medina area in modern times to reach its full potential.